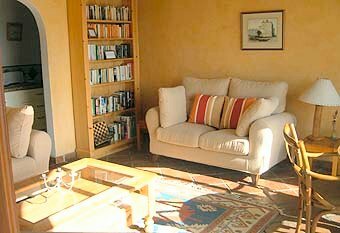 This charming apartment is on the Ground floor of a substantial house in the hills of the Sierra Tejeda. 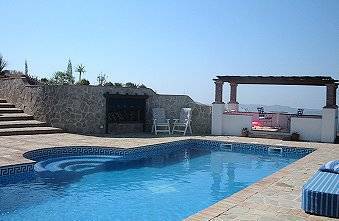 Only 20 minutes from the coastal resort of Torre del Mar and with commanding views over Lake Vinuela. The location is absolutely unique. The property has been substantially built by the present English owners who, with an acute eye for detail, have captured the truly Andalucian style of the area. On the “Ruta de la Torre de Atalaya” this is a walkers paradise with tracks leading from the house in every direction. 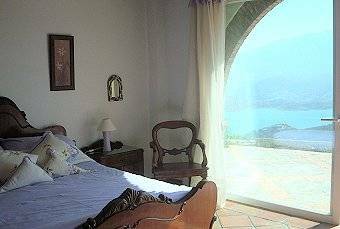 The apartment has two well furnished bedrooms, both are en suite and both have sliding windows onto a large Andalusian style terrace with amazing views over the lake. There is an abundance of wild life and in particular, birds unique to this part of Europe. The house also lies directly under the migration path of many birds of prey and from late September to Mid October many birds can be spotted on their way to the Straights of Gibraltar for their crossing to Africa. As many as 250 have been seen at any one time and this is truly a magnificent sight. In the spring a carpet of wild flowers long forgotten in Northern Europe. Granada and the Alhambra are just over an hours drive through some of the most spectacular scenery. Shopping is easy with a huge modern shopping mall only 10 minutes away by car. 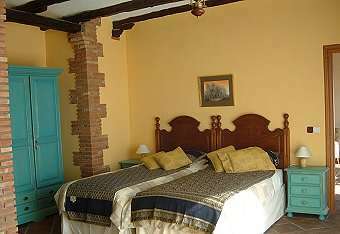 Within walking distance of the house there is an excellent restaurant and two bars, all very Spanish. In addition there are many other restaurants scattered around Lake Vinuela.You will always be made welcome by the locals who are a warm friendly people - so far virtually untouched by the tourism of the Costa's. 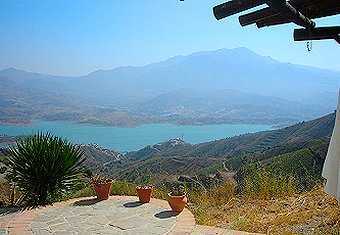 A car is necessary at Lake Vinuela to take full advantage of this wonderful area. Other local activities include Horse riding / Trekking, Painting, Sailing, Golf, Hang Gliding and of course all the beach activities at Torre del Mar. 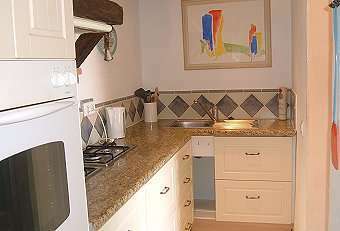 If you are touring the area and do not wish to book our apartment for a week but still wish to take advantage of our truly amazing views we offer B&B in the main part of the house, each room is spacious and has its own en suite facilities, and breakfast of your choice is included in the price, for more details please contact us. Places to visit include: Granada, Nerja, Salobrena, Motril, Torre del Mar, Lake Vinuela, Alpujarras, La Herradura, Marina del Este, Torrox, Frigiliana and the ski resort of Sierra Nevada.